The next Camp will be January 9th – 11th 2015. 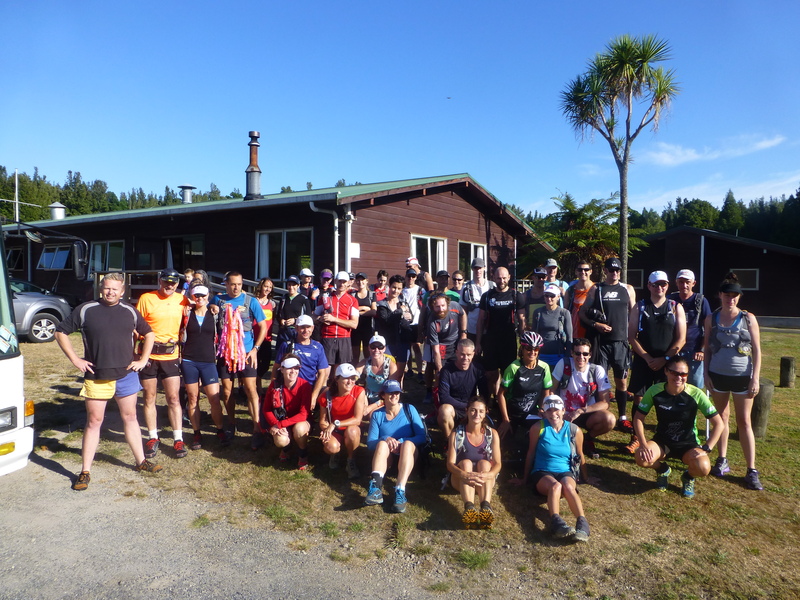 THE 2015 TARAWERA TRAILS TRAINING CAMP IS NOW FULL. Sorry if you’ve missed the boat but we’ll be back, better than ever, in 2016 so remember to get in early for that one! 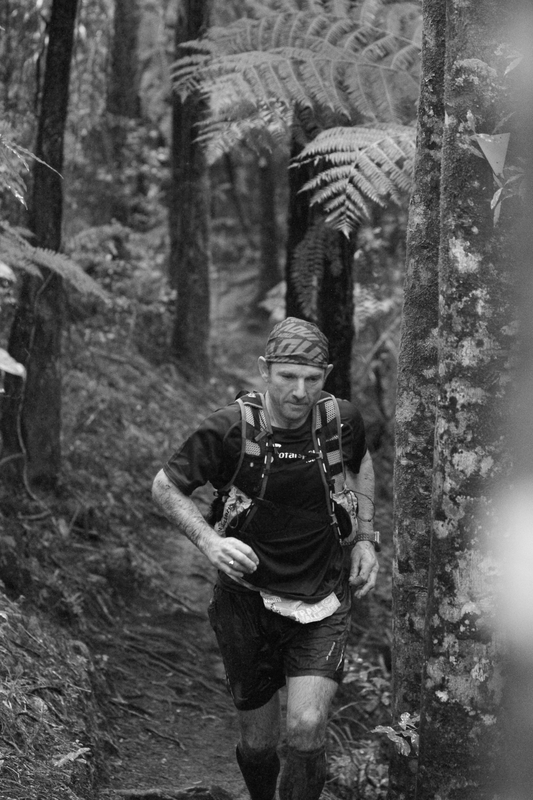 An awesome weekend of trail running on the course of the Vibram Tarawera Ultramarathon. 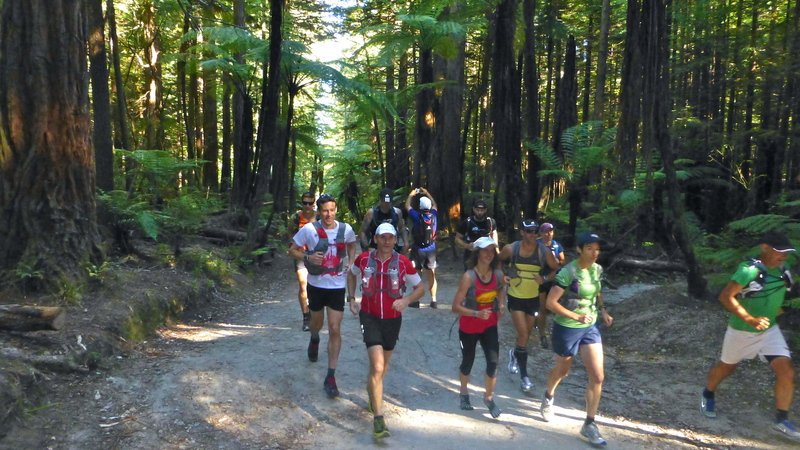 While designed with entrants to the Vibram Tarawera Ultramarathon most in mind, this training camp will be a valuable experience for anyone looking to share trail time with a great bunch of people. 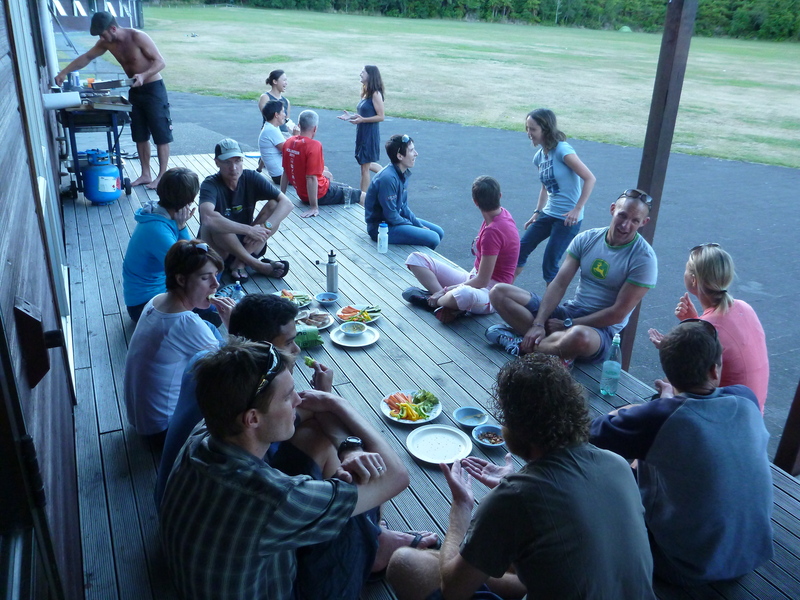 Enjoy a relaxed social atmosphere hanging out with a special tribe of people – Kiwi trail runners. From 5pm – arrive, settle in, evening meal, briefing on the weekend ahead and an informal “all you ever wanted to know about trail running but were afraid to ask” Q&A session. The Class of 2012 – happy trail runners about to board the bus for the first day’s run. Rest & relax back at base, explore some of the other local trails right on the doorstep of the Centre, or take a refreshing dip in Lake Okataina. Pre-dinner Pilates and stretching or some fun fitness drills with Kerry Suter! Pre-breakfast Pilates & stretching are on offer again. 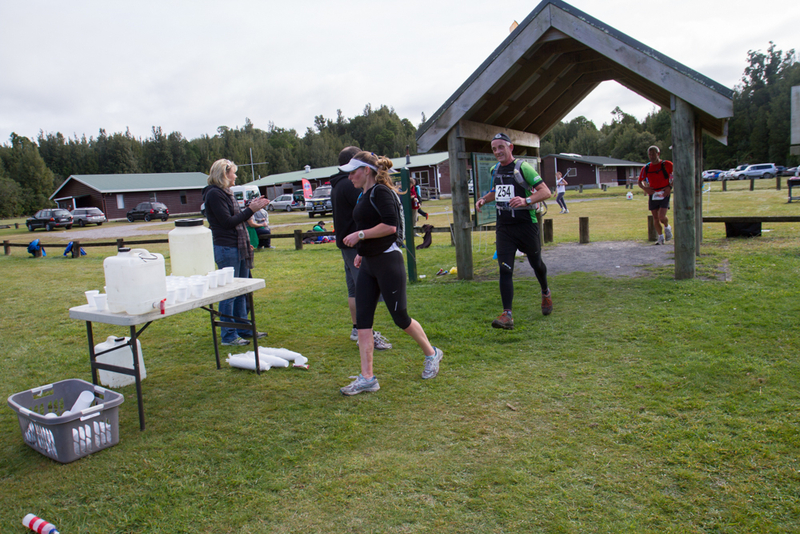 Run from the Centre to Tarawera Falls (25 kms) – faster & slower group options. A cold dip in the river and then bus transport back to the Centre. 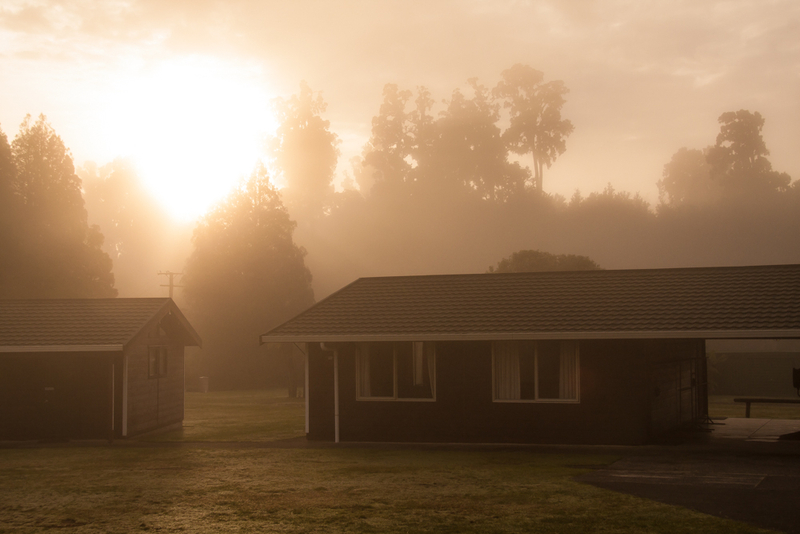 A stop at Kawerau Hot Pools will also be included if time allows. Pack up, say goodbye to your new friends & head home to tell people what a brilliant weekend you’ve just had! The perfect end to a warm day on the trails! We will have people who know the trail well but they are not there to guide anyone. Maps will be provided and while we will strive to keep everyone in groups you should treat this as an unguided run and be responsible for your own safety. The course will NOT be marked as it is on race day so if you are not a reasonably confident map reader then make sure you stick with someone that is. The course is not hard to follow but we really don’t want to lose anyone. The accommodation is basic but comfortable. Beds are in shared dormitories and all camp participants will need to bring their own bedding and towels. Toilets and hot showers are in blocks so bring a head torch for finding your way to these at night. Best of all, the Centre is a perfect place to relax and get to know your fellow trail runners. There is a large communal kitchen, dining/meeting room and a huge expanse of grass outside – Frisbee anyone? We pride ourselves on the quality of our food and promise you won’t go hungry! You will need to bring your own running supplies, but otherwise leave it all to us! 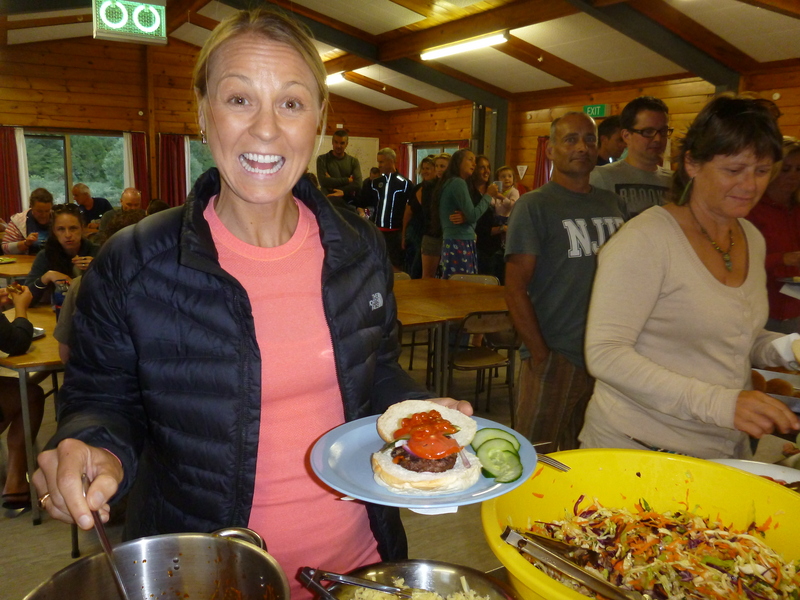 The meals, prepared by professional chef Jean Wan, were a much talked about feature of last year’s inaugural camp, for which we received rave reviews. We will once again be providing delicious, healthy & nutritious food to fuel your body and delight your taste buds. This includes dinner on both nights and breakfast & lunch both days. Sorry, but there is no self-catering option this year. All this good stuff can be had for just $320 per head (incl. GST), which includes a donation of $25 to the Mental Health Foundation as part of Mal’s High Five-0 Challenge fundraising. This covers 6 meals, accommodation, bus transportation to/from the runs, Pilates/core strength sessions, and access to a heap of knowledge and advice – pretty amazing value for money we reckon! 2. Pay $320 by direct credit to our bank a/c 031527 0006198 00. When paying please use your SURNAME and the code TTTC15 to identify your payment. 3. We will email you with confirmation of your place. PLEASE NOTE: your place cannot be confirmed until full payment shows in our account. Refunds: If you cancel any time before 15th November 2014 we will reimburse 50% of money paid. After that date no refunds will be made. Is this camp Jan 9-11 or is it likely to change? Thanks. Camp is Jan 9-11 and won’t change!